When products are purchased from the company, your business is charged tax on the full retail value of each product. If discounts are given, the sales tax needs to be calculated on the amount after the discount unless the discount is due to a manufacturer's coupon or rebate being applied (which is not applicable in MK). Any non-recovered sales tax appears in the Sales Tax (NR) column of the Weekly Accomplishment. You can also print a report of your non-recovered sales tax for a specified date range, by printing the Non-Recovered Sales Tax Summary report (See Close Year-End & Run Tax Reports for more information). QuickBooks Resource Center: Do I need to Collect Sales Tax? If so, How Much? The Balance: How Do I Charge GST/HST on Discounts? For additional information, see Helpful Sales Tax Information. 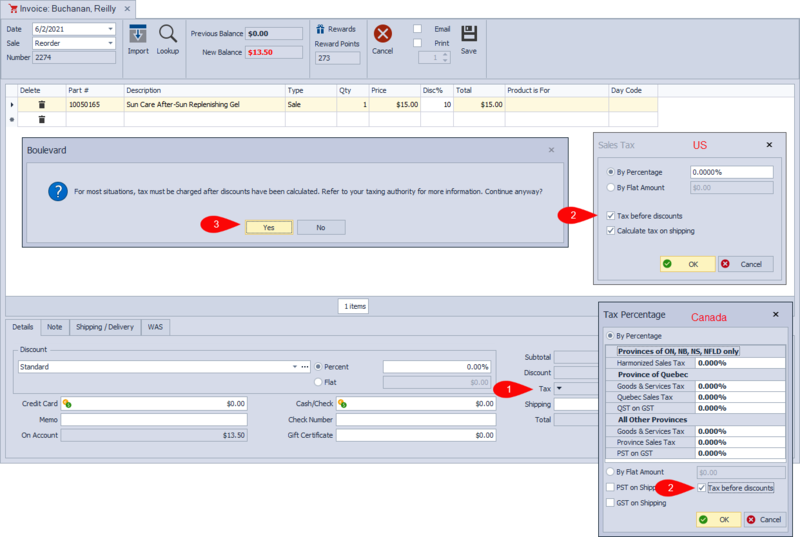 Tip: If you live in Canada, your Boulevard software also includes a GST/PST Rebate form that can be found under the Business Tools menu. To print any corresponding invoices, see Invoices by Sales Type. US: See page 5 of Mary Kay's Fulfillment Options Reference document (linked below) for additional information.